Scalpel…. IV….. Machete….. Question Mark. When you’re driving in your Chevy and you feel something heavy….. I was out running some errands and as I was driving down a main road in our town, I noticed that an ambulance was parked off to the right hand side of the street. I don’t really consider ambulances all that uncommon so I just assumed someone needed medical attention and I was going to go about my own business. That is until I drove a little further. I noticed that the EMT was not helping anyone with a medical emergency. In fact, there was absolutely no living being or structure within 100 yards of the EMT as they were standing in the middle of an empty field with 5 foot weeds all around him. This, of course, piqued my curiosity. Why would this man be standing all by his lonesome in the middle of this field? And then I saw the quick slice through the air. The sun catching just right and throwing a reflection off of the shiny metal and into my gaze; a machete. WAIT. WHAT. This EMT. This life saving Samaritan. This provider of hope and faith. And here they are wielding a Columbian torture device; hacking away against the weeds in this field. Listen Lady, I don’t know about you, but to the best of my knowledge, EMT’s don’t typically carry around machete’s in their rigs. I don’t think they head out on calls needing IV’s, saline, air masks, and MACHETE’S. 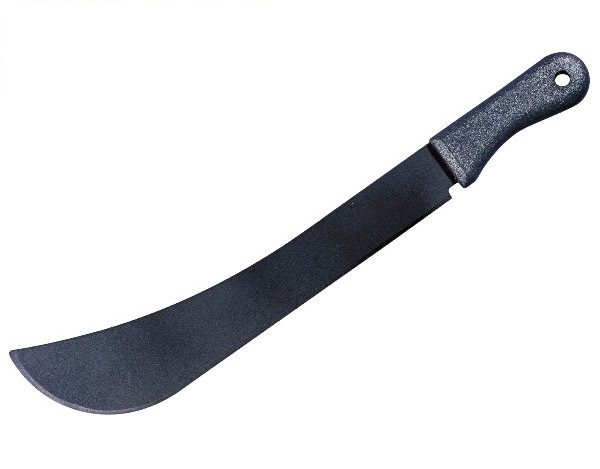 If I was injured in an accident and an EMT came to my rescue and suddenly screamed out, “I NEED A MACHETE. STAT!” Hold up Jackie Chan!!! You think I should sign a waiver or something before you come at me with that. Maybe you could at least spray me down with a little pam first….ya know…so that it slices through a little easier. It is beyond me as to what this EMT was doing whacking the weeds in this field with a machete. Again, I clarify, there was absolutely no human or structure within 100 yards of him or his vehicle so the reason is beyond my mind as to why he felt the need to clear this field. Perhaps he felt it was his good deed for the week. Perhaps he was searching for buried treasure. Perhaps he was having a flashback and felt he was back fighting against the Viet Cong. Your guess is as good as mine lady.